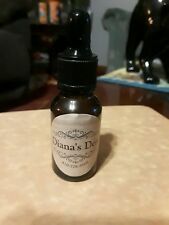 Cannabis Hemp Oil Pure Organic Therapeutic Grade Pain Stress Anxiety Relief. Our Premium Hemp oil has captured the deep, rich, textured flavors of nature in this uniquely designed and flavored hemp oil tincture. Trending at $13.88eBay determines this price through a machine learned model of the product's sale prices within the last 90 days. Hemp seed oil is not the typical product that is put on your hair. Hemp seed oil has been subjected to heat which sterilizes it and prevents germination. Hemp seed oil products contain a beneficial amount of amino acids, and vitamin E as well. Nutiva Hemp Oil is a rich source of EFA's (Essential Fatty Acids). You can use Nutiva Hemp Oil in smoothies, salads, vegetables and pasta dishes. To conserve the essential fatty acids, we suggest you use it raw or gently heated. This is a Special price for pure essential oil. 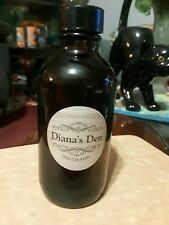 This is not CBD oil. Ingesting hemp oil or using it on your skin won’t cause you to get high. 100% Pure Organic Cannabis Hemp Oil Therapeutic Grade Pain Stress Relief 60ml. It also is a great addition to diabetic diets because of it aids in the moderation of blood. There are reasons hemp food is becoming more popular. Hemp is an ideal superfood for both human and pets. Containing a wealth of phytonutrients and healthy fats, daily hemp oil can boost your health in a wide variety of ways. 100%Pure Organic Cannabis Hemp Oil Therapeutic Grade Pain Stress Relief 8 Ounce Cold-Pressed. We suggest you try our Evo Hemp Oil in recipes where you would normally use olive, flax or coconut oil. Unlike soy, hemp is not genetically modified, and it doesn't contain the anti-nutritional qualities commonly found in soy. Made with 8 different kush plants and infused with grapeseed oil in a machine for 16 hrs. Very pure great for pain and shakes. FOOD GRADE DELICIOUS- Great for use in smoothies, salads, vegetables, and pasta dishes. The delicate nutty flavor of Nutiva Hemp Oil makes it the perfect addition to any salad dressing. · USDA certified organic. · Non-GMO Project Verified. · Great for use in smoothies, salads, vegetables, and pasta dishes. 100% Pure Organic Cannabis Hemp Oil Therapeutic Grade Pain Stress Relief 355 ml. Ounce Cold-Pressed. Hemp has twice the iron and magnesium (a key mineral often depleted by industrial agriculture) contained in flax. Canada Hemp Food's hemp seed oil is natural, unrefined, and handcrafted in small batches to preserve the nutritional properties and quality of nature's most unsaturated oil. Size : 24 Ounce (700ml Bottle). Use : Multipurpose. Naked Hemp Oil is from the 'SEED' of the Cannabis plant and not the 'LEAF'.